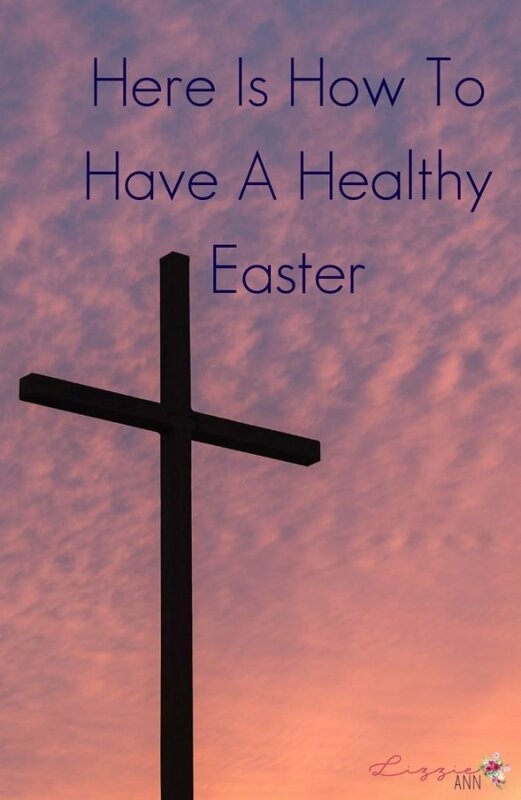 Health and Easter don’t seem to go in the same sentence. For a few reasons really. For one we eat candy and have brunch. Neither of which have any sort of health to them. Second somewhere along the way we lost the true meaning. So we are all out celebrating the Easter bunny and Easter baskets without for a second thinking about what really happened here. So let’s break down how to have a healthy Easter mind, body, and spirit. So there is a book I read last Easter that is called Sacred Holidays: Less Chaos, More Jesus by Becky Kiser. It’s about the best book I have ever read when it comes to shifting our mindset for any holiday. She talks about how as kids we used to get excited about every holiday. Then as we got older we learn what made those holidays magically weren’t really there so we lost the magic of it all. So she gives super amazing tips & ideas on how to bring magic and whimsical into the holidays as well as the true meaning of why we celebrate them in the first place. Of course, I think we should be celebrating Jesus on Easter and not the Easter bunny but if candy is around you better bet I want to eat some. I mean Jesus doesn’t want us to not celebrate him so let’s have some candy. The first brand I enjoy is the black earth organic brand. They have sweet & sour bunnies that are amazing. Wholesome organic is another great brand. They have bunny lollipops that are a crowd favorite. Surf sweets they have organic jelly beans that are pretty darn amazing. No these are the cleanest options ever actually there is no clean candy out there. These are just the cleanest ones. Your best bet for the cleanest ones ever is the eat organic fruit but that can be boring on such an amazing day. Yum earth is a really great brand as well. Target carries this brand and all the others. The closer to the holidays the more of a discount the candy gets so do your last minute shopping there. These might be one of those duh paragraphs but I’m going to say it anyways have fun! I mean go to all the people’s houses that invited you to. Share the love of Jesus. Say the prayer before you walk into each get-together and ask for guidance on how you can do your best to glorify god there. Play games eat way too much food and just lose yourself in the moments. If we choose to just sit home on Easter and miss out on all these memories we may miss out on one of the best parts of the week. Now baking is stress relieving to me. So if someone has an amazing baking recipe I most likely will drop what I’m doing and bake it. 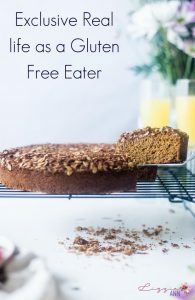 So since going Paleo for eating, I found an AMAZING food blogger Danielle Walker that has the best cookbooks I’ve ever used. She has one just for the holidays called celebrations. If you follow her on her facebook page she is always showing in more fun ways to bake for the next holiday coming up. For Easter, she made a Paleo Reese’s Easter Eggs and they are so darn good. She also has a recipe for cinnamon rolls that are so good you will have more than one. Both of those are from her celebrations cookbook. All her cookbooks are amazing and we haven’t tried a recipe of hers that the whole family didn’t like. Keep these bake goodies at your house to snack on or bring a dish to pass at your gatherings. To sum this up have your mindset off of the Easter bunny and on Christ, since we are celebrating Jesus rising from the dead just for us we have to celebrate and candy is a great way to do that, don’t forget to have some fun, and make something even if it’s just for your house. If you are looking for some Easter craft ideas check some out here. Do you have some other ways you have a healthy Easter? Great! Feel free to share them in the comments below. 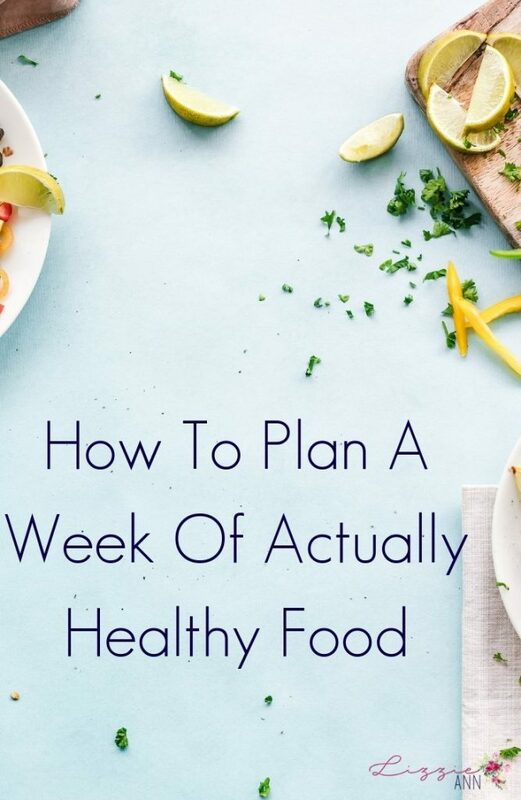 When it comes to planning a week worth of eating healthy food there are a million different ways to go about it. You could cook it all at once and have it ready to warm up and eat. You can cut up produce and have it ready to go. 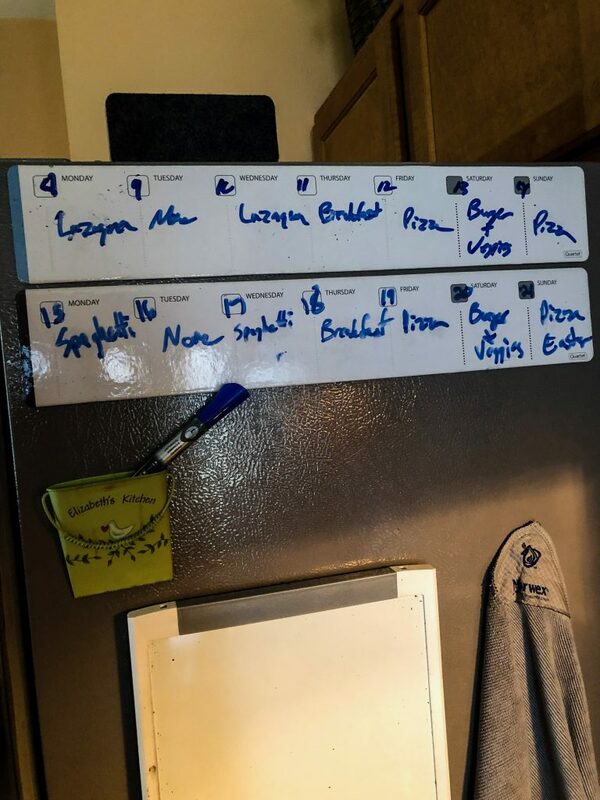 You can just write on a calendar what you will have and plan at night when you will eat the next day. Just know there is no wrong way to do this. It’s whatever works for your family and for your schedule that makes the most sense. Just sit down on Saturday morning before going grocery shopping and see what you are going to eat for the week. Let’s get into a simple way to make this happen. So the first thing you do is get together right before you go grocery shopping and see what you plan on eating for each meal this week. You can have a dry erase calendar boards that you write the date on and what you will have each day. Example: Monday – Spaghetti and meatballs. Tuesday – Breakfast, Wednesday – Leftover Spaghetti and meatballs. Thursday – Waffles, Friday – Pizza. Saturday – Burgers and Fries, Sunday – Leftover Pizza. Find some recipes you like. Danielle walker has amazing recipes. Now you make your list. This can be a physical one or one on your phone. Go through your fridge, freezer, and pantry to see what you already have. Then add each ingredient you do still need to your list. Add to your list snacks you are gonna each so like fresh fruit and veggies. Also what you need for breakfast so if you eat a lot of eggs remember to put how much you need of each on your list. Head to the store. Of course, once you get home from the store and put everything away it’s time to clean and cut up everything. It’s much easier to make things at night if everything is all ready to go for you. Clean things like cucumbers, celery, peppers, apples, carrots, and potatoes, etc. Buying frozen fruits and veggies is much cheaper and is great for your smoothies. Try to have all these stored is a glass container and stored in the same drawer so snack time is easier. Plus you are more likely to eat it if is right there. Added on filtered water to your celery will make it taste better when you go to eat it and last you longer throughout the week. Once you have everything laid out for the week every night plan to check and see what you need to get out for the next day. During busy seasons plan on crockpot meals. Those are easy to make the night before and just turn on the next morning. Let’s say you are going to make chicken and vegetables tomorrow night. Put the chicken in the fridge to thaw out from being frozen. If need be you can prep your veggies. With everything, you must give yourself grace. We can plan out all the healthy food but life happens. Like you can plan to eat chicken and vegetables tomorrow night then your mom calls and needs help at her house so you will be eating over there. No problem just pop everything back in the freeze and try again another day. Your life and your happiness are the most important. Don’t get hung up on what you had planned to go with it. Since we have only talked about dinner let’s talk about what to do for Breakfast and lunch. Breakfast keep it simple. You can bake amazing muffin cups find a ton of recipes on Pinterest for those. We like to premake things for the mornings so it’s just grabbing and go. We do things like Simple Mills Banana muffins with chocolate chips in them. Really the best go to is 2 eggs over easy with half an avocado with spinach. Lunches are normally a smoothie. I get all my smoothies from one of my favorite cookbooks body love. To sum it up find a weeks worth of recipes. Make one recipe last a few days if you can. Schedule out what you are going to eat when. 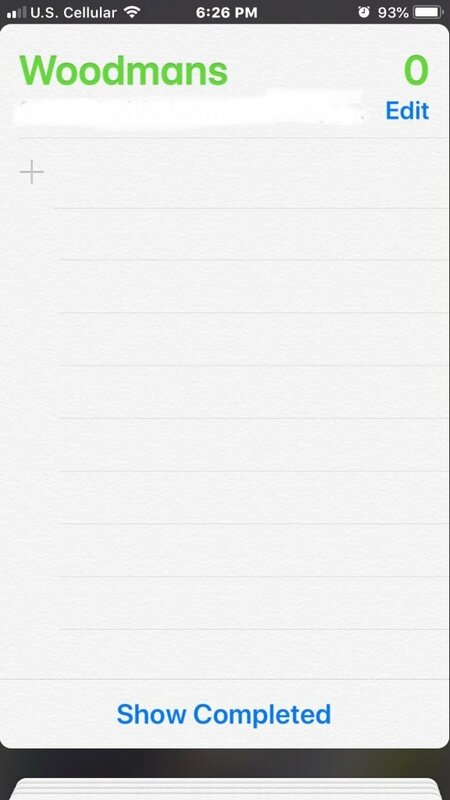 Make a grocery list. Prep your produce and cut what needs to be done for the week when you get home. Every night make an alarm in your phone to check and see what you can get out for tomorrow nights dinner. Give yourself grace through the whole process. Keep breakfast and lunch easy like grab and go kinda food. Want to know why healthy food is hot right now? Check it out here. Do you have some other tips on how to plan healthy food? Great! Feel free to join our community and get in on the conversation. Finding really healthy places can be tough. Below are places I have ate at each place probably more than once each and literally can’t get enough. So when you find yourself heading to Milwaukee, Wisconsin next give one of these a try and let me know how it goes. If you are looking for a good smoothie bowl and juice place in Milwaukee, Wisconsin Urban Beets is it. They do have so much more to offer but these are the two things that I can’t get enough of. Really like if money was no problem I would go there once a week and get enough smoothie bowls for the week. Healthy order option is the Nutty Nib Smoothie Bowl with a Clean & Green juice to drink. When you go there people order just about everything on the menu so if it sounds good chances are you will love it. It’s all organic, gluten free, Nut free, and soy free so it’s hard to beat. Looks like they also have door dash deliver so if you are staying anywhere around them you can have it delivered. Shake Shack in Milwaukee, Wisconsin is the cleanest (the term is used super loosely hear) fast food joint around. That term is used loosely because well eating at home where you know what exactly is going in your food is your best option but we are human and want to eat out once in a blue moon. A healthy order option is a ShackBurger double, lettuce wrap, no sauce at all, at pickle, well done, remove cheese, remove shack sauce. Add primal’s BBQ sauce that to the burger plus fries on the side. They do have door dash as well you can get it delivered. Blooming Lotus bakery in Milwaukee, Wisconsin is changing the clean baking game. EVERYTHING they make tastes amazing and doesn’t make you miss anything you used to eat. Our wedding cake was made here and a year later when we ate the top layer it was still amazing. On Saturday only they made donuts and we order them early in the morning otherwise they are way before they close at 2 pm. They have cinnamon rolls that are so good you will want to eat more than one. Might want to call ahead just to see what they have available for the day plus as what time they close. We may have gotten there really late and they were closed more then once lol. Sweet Diner in Milwaukee, Wisconsin is a new fav we can not get enough of. They have a ton of gluten-free options also things are organic so I mean what’s not to love. The place is so adorable and the people are amazing. A healthy option is a guiltless omelet with gluten-free toast and fruit. They also have gluten-free pancakes and waffles that both look amazing. I wanted to order it all just to have a bit of each lol. To sum it up give urban beets, shake shack, blooming lotus bakery, or sweet diner a try. You won’t be disappointed. Heading to Austin, TX anytime soon? Here is a healthy article you must read before you go. 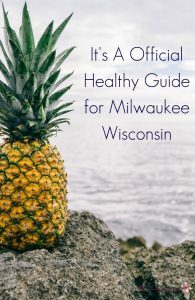 Do you have some healthy options you go to when you are in Milwaukee Wisconsin? Great! Feel free to let us know in the comments below. Chances are if you are reading this you are thinking about going gluten free, know someone who has or are feeling super alone in this journey. Being gluten free is like trying to exercise. You have good intentions but then go out to eat see there is nothing on the menu you can have so you tell yourself life is too short and have a piece of bread. Then you get home and your stomach hurts and you can’t stop going to the bathroom you remember why you eat the way you do. So here is what it’s really like to be gluten free in a gluten world. So you got invited to a get-together. You used to think you will have a good time and enjoy yourself by now all you think about is what you can’t have. The food and snacks that will be available you can’t touch. So then you make plans to eat before. You arrive with your yeti full of water. Everything is going smoothly until you hear the words foods ready. Everyone gets up and you get on your phone. If I don’t make eye contact maybe no one will notice I’m not eating. Then someone in the room asks “So you aren’t gonna eat?” Then you see others looks. In your head, you say you do want to eat because it all looks and smells AMAZING but you just say no thank you. It’s so hard to even want to leave the house. Your family wants to go out to eat. They choose a place that you can’t eat at. So you eat before and only stay a little while. You have things to eat in your purse and food ready to be made when you get home. Sure the food smells amazing and you want to eat just like everyone else. But you know right when you decided to your body would react in a way that you can not handle. No one wants to have to opt out of eating with friends and loved one. No one wants to not have to make there own food. But when you do you know what’s going in it and that your body will be filled with nourishment. When you see people eating away at a restaurant and you just want to join them you know it’s time to go. Now, this is one that is the easiest because you are in charge. Nope cleaning your house before and after is no fun at all. You choose the menu and can make your own food. I always just make my own food and eat it before people come over. I’ve eaten it in front of people before but that felt weird and people wondered why they couldn’t have any. I will always have a treat or two that I can have so I can at least enjoy that with others. Those are normally the ones people don’t try either so you have more for yourself later as well. Of course, parties are the hardest. It’s the same as the others you can’t eat or drink anything there. But this time there is cake and cake is HARD to pass up. Anyone that has to pass up food is hard but passing up cake takes will power I didn’t even know I have. So I eat before I go. Have a snack or 10 in my purse, coat, or pocket. Then I’ll have a piece of cake I can have at home or in the car ready for me when I’m done. It still isn’t very easy to do because everyone is enjoying the cake and talking about it. We have had to skip a party or two on the days I know I wouldn’t be able to say no to cake or food. To sum this up eating Gluten Free in a gluten world is tough. I’m learning though that you are tough too. Also that our treats are a lot better than all that anyways probably just because we can eat something without our body going into shock over it afterward. Don’t stop going out of the house because you have nothing to eat out there. Eat before, bring a dish to pass or have something in your purse, have something you enjoy eating ready for you when you get home as a job well done. Being gluten free is tough but you got this! If you are in need of a Gluten Free Chip that tastes better then any chip out there check out Siete Chips post. Do you have some other things on being gluten free? Great! Feel free to join our community and get in on the conversation. 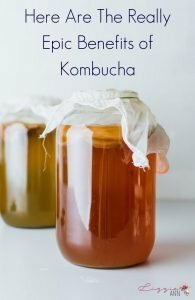 When it comes to the benefits of Kombucha there are so many. Before breaking down some of those amazing benefits let’s talk about what to look for in a bottle. Make sure it’s organic. Actually, make sure everything you get going forward for anything is organic. Make sure there are only a few ingredients in any bottle you get. Watch how it makes you feel. After a few sips if your body doesn’t react well to that brand try a new brand don’t give up Kombucha all together. Now don’t get this twisted when seeing the word weight loss. Yes, one of the benefits of kombucha is weight loss. That is along with clean eating and exercise. Sorry to break it to you but kombucha alone will not make weight loss happen. If it did it would be so much more popular then it is. Try to drink a half a bottle to a full bottle a day. Would be a great snack with soaked and dried nuts & seeds. Have this be one drink apart of your everyday life. Once you find one you love and works for you be sure to try all the flavors. 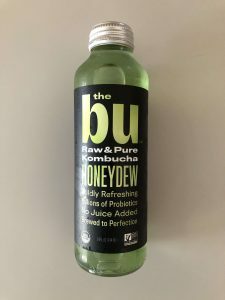 The Bu Kombucha is the only brand I love. So once you clean up your eating and start drinking kombucha regularly watch how your skin changes. The skin benefits of kombucha are clear, glow, acne free. This doesn’t happen overnight and may even take a few months to make happen for you but it will happen. Once you see it you will be even more hooked on drinking kombucha. Of course, this is so big for so many people. Digestion is one of the big benefits of kombucha. If you need better digestion start with drinking more water. Once you have that in place have some kombucha before you eat and then again after you eat. This will help your body process your food. Watch your digestion change as you put this in place day in and day out. Wait you don’t need any more energy? Ok, I knew you did. Once you have had your warm lemon water in the morning and a glass of water try kombucha. This will be a great way to start your day and really give you the energy you need to get going and have an amazing day. Plus it tastes good. Since Kombucha has caffeine drinking it in the morning would be great. Getting energy as benefits of kombucha is probably the best reason to drink it. Do you take your daily probiotics? Well, one of the benefits of kombucha is it’s a natural probiotic. When you are holding a bottle of kombucha and all those pieces are at the bottom of the bottle that is good for you probiotics. That is the best part to drink so don’t put it down the drain drink it. 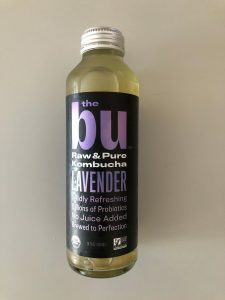 Lavender kombucha is the best one to start with if you have never had kombucha ever. This is just the best flavor and more relaxing. Plus the color of the bottle is purple so why not drink it. Honeydew is the second best flavor. It’s like sitting on a beach even if it’s negative degrees outside. This would totally be amazing on a summers afternoon as a fun drink. Tropical is the third best flavor. This one is not as fun of a flavor as it sounds. 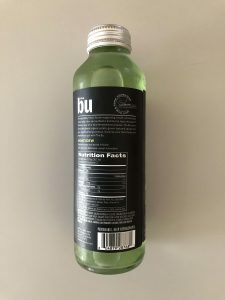 Would for sure be a great spring/summer drink of when water is boring and you want to switch it up. I have not been able to find this but at our location Woodman’s grocery store. I would keep an eye out for it though and I’m sure you will find these in no time. When we were in Austin, TX we went to sprouts and they had a ton of there flavors. The Bu does have a store locator on their website but it doesn’t show we have one close to us but we do so not sure it’s 100% accurate. To wrap this up benefits of kombucha is weight loss, skin, digestion, energy, and probiotic. 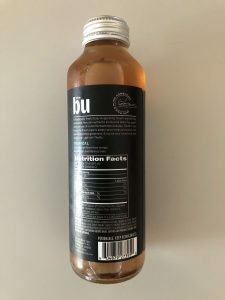 Plus The Bu Kombucha is the best brand out there to date. Looks for a good chip that is free of pretty much anything? Check out The Siete Foods Review. 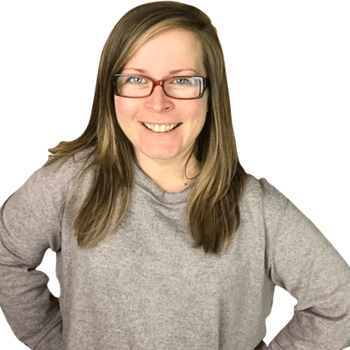 If you would like this blog post to be read to you by Lizzie Ann listen here. So the flu has hit your house huh? You have been searching the internet high and low trying to figure out how in the world you are going to get this gone before others catch it. Everything you are going to read here can be used while you are healthy or not. With that in mind let’s talk about how to kick the cold & flu. When it comes to people around you have a cold or flu this is your first course of action. You put a Vitamin C packet into a little bit of water and drink it. This can be done 1 to 2 times a day. This will really help your system fight off anything that comes into it and build up and immunity for any of those bad things that comes your way. It doesn’t taste the greatest but most things you take when you are sick don’t taste all that great. You are trying to not get sick so don’t focus on the taste. This will help with any sinus relief you may need for the cold or flu. You can take this every 2 hours for up to 6 times a day. They just dissolve under your tongue. It will help take any pressure off that you make be experiencing. Which is great for when the cold strikes and that pressures is just too much. You can get it on Amazon or at whole foods. Now there are so many different versions of this you want to get the purest ones to have it make the best effect. They sell them at whole foods and on Amazon. I’d be lying if I said that I’ve never used theres but I have. The one I have found that is the best is Seattle Elderberry. 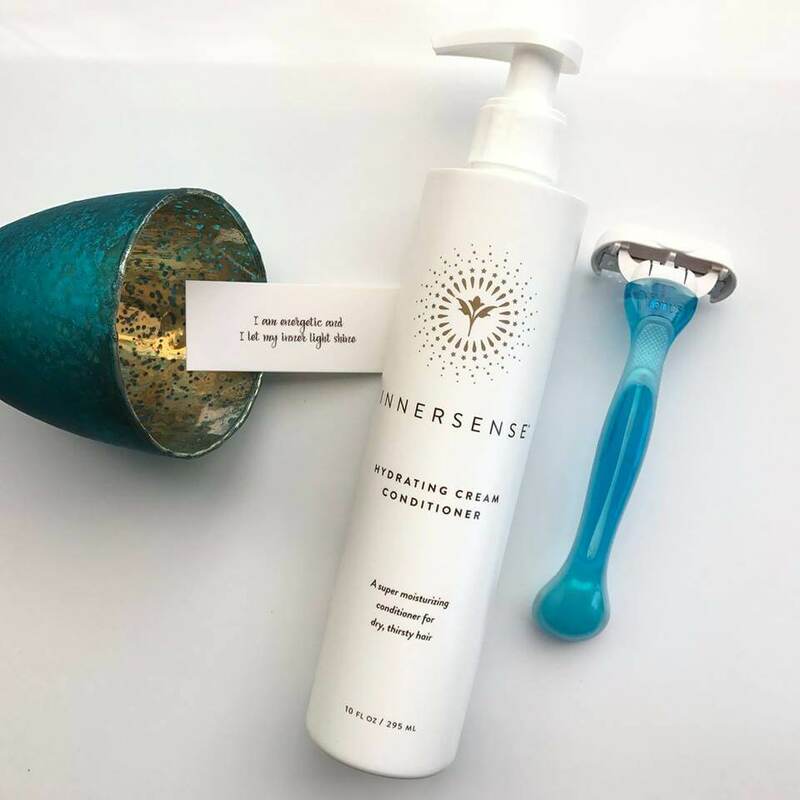 She only makes them in small batches so you have to sign up for there newsletter and when they are available plan to go on the website and get them fast. This is so good to take when you have a cold & flu. It’s also good to take during the season to help arm yourself and your family. Of course, finding a better alternative to drug store cough drops is the best. These protecting throat drops will really help you breath better, stop coughing, and arm you for when your throat is sore. We have tried a few different brands from whole foods and for right now these are the best ones we can find for our family. Please look into drops that work for you and your family. If you want one thing to do at least once a week no matter what this is it. It only takes 20 minutes of your time and really helps pull anything out that you have going on inside you. 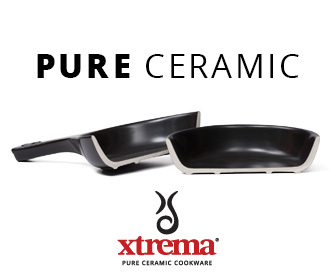 Get the purest one so no essential oils or anything else in it. Do 2 cups at a time at night and take a shower afterward. That way depending on what you have going on you can add your own essential oils. When you have a cold & flu put 3 drops of your protective blend, and 3 drops of breathe blend. If you are just wanting to relax for the evening just doing 6 drops of lavender would be wonderful. There are so many different versions of this out there make sure you are getting one with the best ingredients. Which is one where you keep it frozen and has a gel on it before you heat it up. Bonafide Provisions is the best brand out there. They are everywhere including Walmart. We stock up on these and use them in everything when someone in the house is sick. Do a half a bag of the chicken at a time with a 1 TBS of grass feed butter and pink Himalayan salt. Get all three products at whole foods but you can really get them from anywhere. This can be drank once a day just to keep your gut and body healthy. These are something that should be used every day for sure during cold & flu season. You want to use the protective blend and the breathe blend because this will really help when people are sick and help you before and after having a cold & flu as well. Do 3 drops of each with fractioned coconut oil in a 10ml roller ball every 3 to 4 hours. Put on on your neck front and back, under the nose, behind your ears, and on your wrists. Also, 3 drops of each in distilled water in a diffuser throughout the day so you are getting those oils into the air as well. Please take a class or two on how to properly use essential oils for you and your family. Up your water intake. If you do nothing else but take a nap and drink water you are on a great road. This will get you in the bathroom often and get those back things flushed out of your body. That will help you get back on your feet in no time. The trick to this is to have a full cup of water next to you at all times. Make sure to have filtered water as well. This is good to take off and on throughout the year but will really help in cold & flu season. Just be sure to take a good brand of cod liver oil and not some cheap off brand that is really doing nothing for your body and wasting your time and money. Take this all year long. This is good for everything but really helps during the cold & flu season. Go ahead and google all the good things taking echinacea will do for you and your family. You can also drink the tea version of echinacea as well. They will both be super helpful so whatever way more sense to you go ahead and do that. So many version of cold & flu tea is out there. Check the ingredients to make sure are clean and organic. Ones that we stock up on are Throat coat, Gypsy Cold Care, and Cold Season. They taste so good and are good to drink during cold & flu season no matter if it’s hit you at all or not. Activated Charcoal is one of the best products you want on hand no matter what is going on. Even if you find yourself just having your stomach hurt if you can’t stop going to the bathroom take bind. This can be taken two hours before you eat and then wait two hours before you eat again. This is easiest to be taken in the morning right when you wake up two hours before you eat or at night two hours after you ate anything. If you eat something that bothers your stomach take these as well. Pretty much if you have anything going on in your body take this. Tastes like candy. This can be sprayed right in your mouth every day. Propolis is the best thing you can have on hand when you hear someone that is starting to get sick or just if your throat hurts. Spray about 3 or 4 sprays at a time and enjoy all the health benefits of doing so. Give yourself the grace to do what you can to get you and your family healthy. Self-care is so important because we are busy. Even when we are sick we still push ourselves way too far. 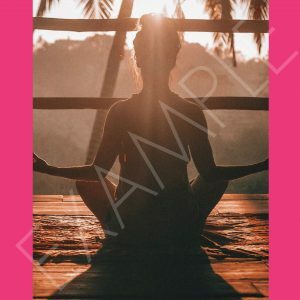 I made a self-care eBook so you can take the time to schedule in when you can learn ways to do self-care, and troubleshooting for when your mind and body will not relax. I hope you get the book it’s less than a coffee and will hopefully help you to not get cold & flu and keep you at your best. You can for sure get your own and they aren’t as expensive as you would think. But you can go to a friend or family house. Also, a lot of places around you may have a sauna if you don’t have your own. Having a portable one is good for so many reasons. You can put it away once you are done. This one really heats up well too and you can use your arms while you are sitting there. If you are traveling with a vehicle you can bring it with. Be sure to rinse off afterward so you don’t get everything you just got out of your system put right back in. Do this for 30 mins a day every day. Twice a day when you aren’t feeling well. It’s so relaxing. Your lymphatic system is so important for the full function of your body. Doing dry brushing before you get in the shower will get your blood flowing and get everything pumping. It moves things that may not be moving well without doing this. Do this for 5 to 10 minutes a day. It will hurt less over time. Brush towards your heart. Be sure to wear only wireless bras as well to help not block up your lymphatic system. Sometimes they come with plastic pieces in them still so be sure to take those plastic pieces out as well. Now you have heard of the magic of floating right?! Ok so if you haven’t go watch this Youtube video on it now. Make sure not to drink any caffeine that day or shave at all. If you do drink caffeine it will just be hard to relax. If you do shave they give you some petroleum jelly to cover the shaved or cut areas. There is a ton of salt in the float pod but it doesn’t feel any different then if you have shaved and come in contact with salt. Google all the benefits. This will help get so much out of your body during the cold & flu season for sure. They have an amazing deal to get $30 off your first time as well. This can be done once a week and the Epsom salt bath on the other day. Don’t overlook this. We skip this step all too much. Make a cup of tea, turn on the Hallmark channel, read a book, and relax. You will be amazed at how much you need this. You deserve to rest even if your mind and to do list says otherwise. Have someone help you with everything that needs to be done today and get some rest. Salt room therapy is a must do. Can you tell that salt is healing? It really is. This will help with a cold more than the flu but go do it. Take a family member with you or go alone. It’s so relaxing and well worth the time to sit back relax and just breathe in the salt your body needs to heal. Make this apart of your morning after warm lemon water. The lemon water will help you go to the bathroom and then the green juice will restore the good stuff that can out. Your body needs to rest, restore, and heal so do anything you can to make that happen. Now, this took a LONG time for me to even try. The smell took me a really long time to get past. I drank it but never really enjoyed it. That is before The Bu came into my life. 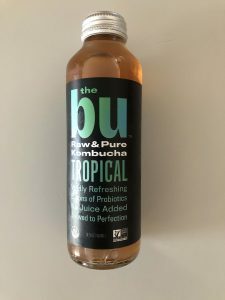 It just tastes like you are drinking something really tasty but getting all the health benefits of kombucha. We can only kind this at our local woodmans. I hope you can find it somewhere around you because it soo good! To sum this up: get some Vitamin C, elderberry syrup, drink tea, get your bone broth in, put on essential oils, sweat it out, Epsom salt bath, drink your juice and get some rest. If you only have the time or the energy for 4 things to do when you are sick check out this post. 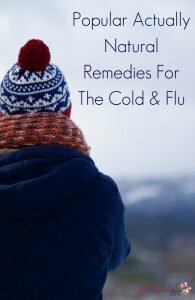 Do you have some other things you do to help with the cold & flu? Great! Feel free to join our community and get in on the conversation. Thanks so much for reading. Check back on this post because I’m always updating it to keep with the latest and greatest finds. 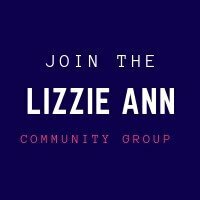 Welcome to Lizzie Ann! We tell you about all the cool things and latest trends with Holistic living! Click my picture to learn more or search my website. Sign-Up For your copy of 16 to do self care on your birthday! Use this conditioner to have the best shave ever! Sign up for Safe & Chic Newsletter for 10% off first order. 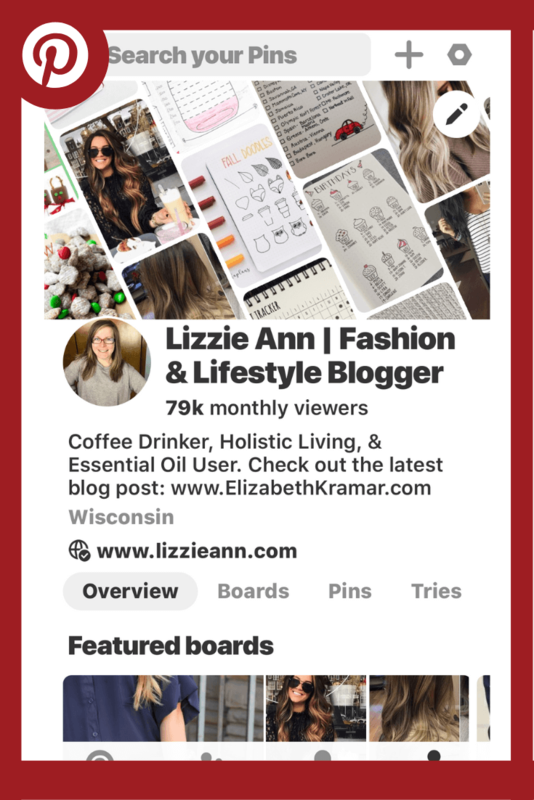 Follow Me Over On Pinterest!